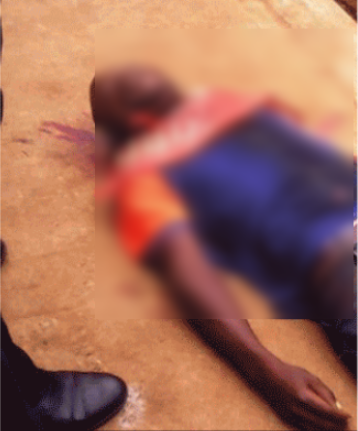 A tragic incidence occurred over the weekend, when a DJ hired to perform at a burial ceremony in Anambra State was reportedly killed by a stray bullet fired by a vigilante operative. The DJ Lotachukwu Nwagboso, a 34-year-old father-of-four, was doing his job at the internment ceremony of Evangelist Vitalis Ihemeje in Alaife Umuaku Uli, in Ihiala Local Government Area of Anambra State when he was mistakenly shot and killed by one Ibeanozie, who is presently at large. Nwagboso, from Ndikpo Umuaku Uli, was hit by the stray bullet when the vigilante operative put his gun on his motorcycle while trying to start the bike and the gun went off. Nwagboso died on the spot. The incident sparked outrage as youths of Ndikpo went on a rampage, destroying property and pulling down houses belonging to the suspect, as well as those of the family that organized the ceremony of their father. The elder brother of the suspect, Ifeanyi Ibeanozie, said they were friends to the bereaved family, hence their commitment to ensure the success of the burial. He insisted that the shooting was not a deliberate act. Anambra State Police Public Relations Officer, Princess Nkiruka Nwode, confirmed the incident. She called on community leaders to be mindful of the kind of people they appoint as members of the vigilante and implored the people to give the Police information that will help in apprehending the suspect.